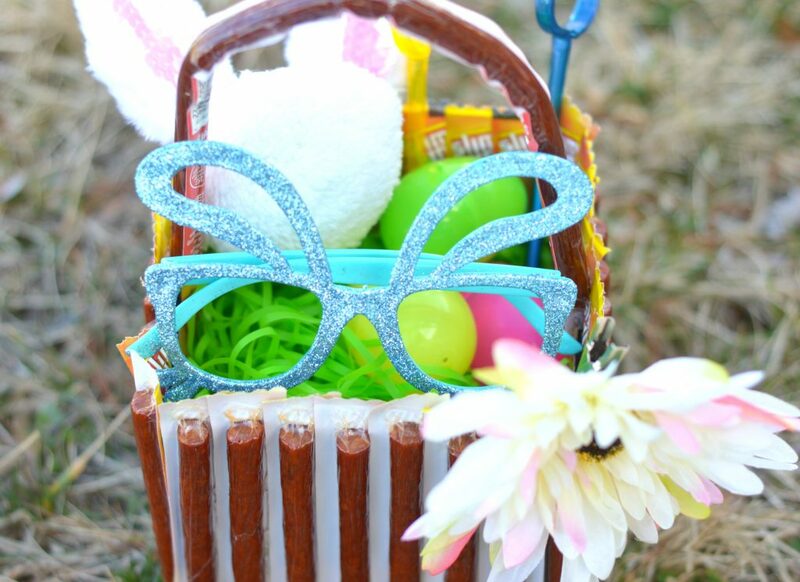 Skip the candy this Easter and make this Edible Slim Jim Easter Basket your kids will love to snack on! DIY video is included! I am no longer at the stage in parenting in which I can fill up my kids Easter baskets with candy and then slowly dole said candy out to them over the course of months. Oh no Easter morning my kids grab their Easter Baskets, head to their rooms and feast on all the surprises inside. To combat this, I have decreased the amount of candy I include in their baskets and instead fill their baskets up with their favorite snacks and games. Some of the snacks I include in the Easter baskets are one of my kids favorites, Slim Jim’s! 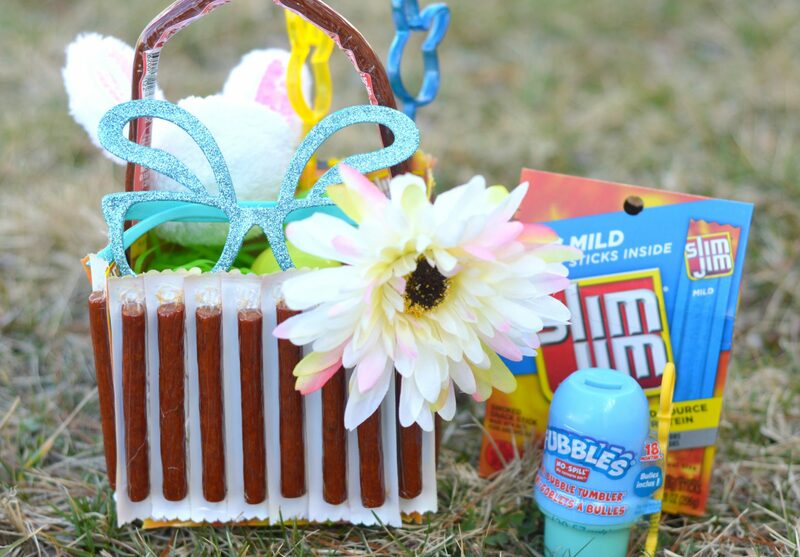 This year, I decided to get a bit more creative and instead of INCLUDING Slim Jim’s in their Easter basket, I decided to make and Edible Easter Basket with Slim Jim’s! Watch the video above to see exactly how I created the Edible Easter Basket with Slim Jim‘s using the beef sticks and the carton it came in! 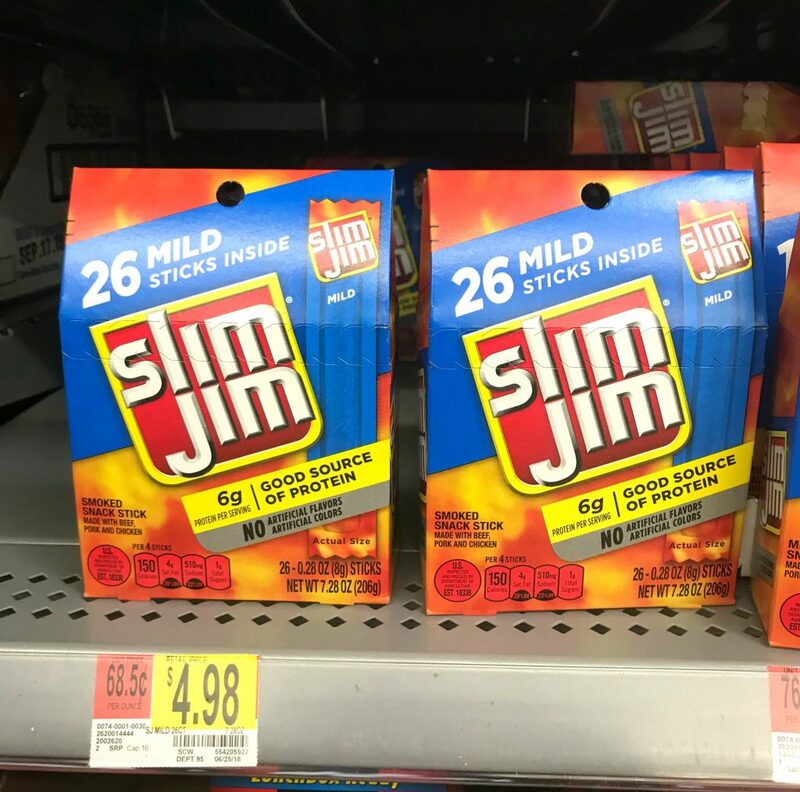 Slim Jim meat sticks use spicy beef, pork, and chicken, because beefy appetites require an even beefier snack.​ Slim Jim’s they truly are the perfect snack to have on hand, they are individually wrapped for a convenient snack on the go. And with 7 grams of protein per serving, it is sure to satisfy those beefy appetites. 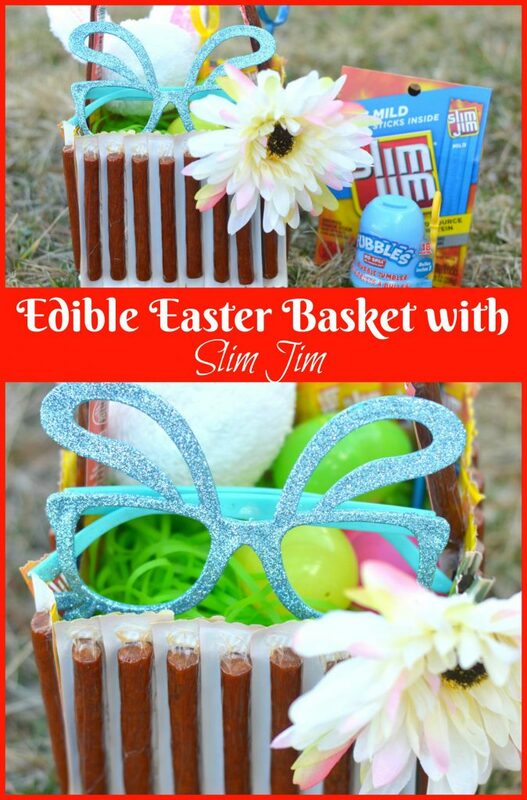 Once I was done making the Edible Slim Jim Easter Basket, I headed over to SlimJimBoldBreak.com and created a virtual Easter basket! While I believe my Edible Easter Basket will win my kids hearts, the virtual Easter basket I made can actually win me some money! 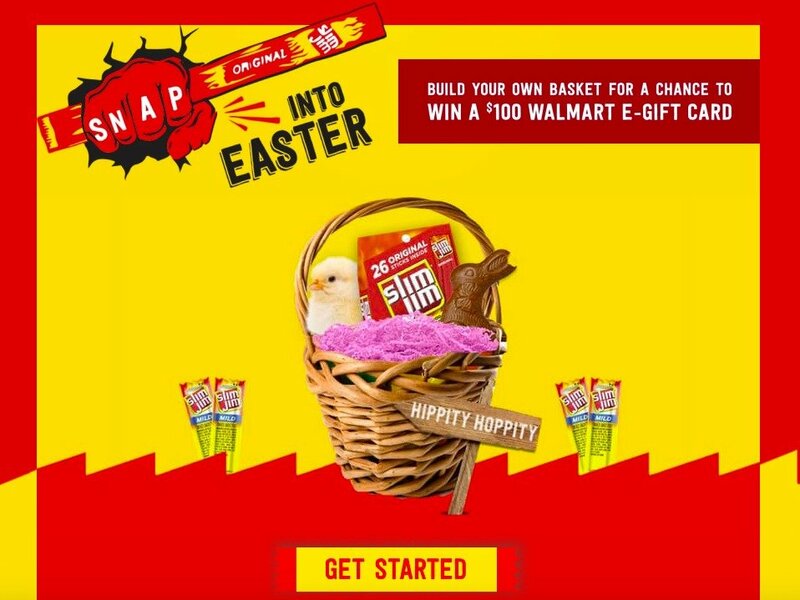 Thats right once I created my virtual Easter basket, I entered it for a chance to win on of 20 $100 Walmart e-Gift cards! Go make your virtual Easter basket NOW over at SlimJimBoldBreak.com, five winners are awarded each week and the more times you enter, the more chances you have to win!